Not sure whether Career Coaching is for you? We all envisage our careers (and our lives in general) being a straightforward journey from A to B. However the reality is almost always more complicated. There will be ups and downs, changes of direction, roadblocks and times when we feel as if we are on a treadmill pushing forward but going nowhere. This is extremely common and a normal experience at some time in many peoples working lives. However, we are not very good at sharing our “warts and all” career stories with our colleagues and those we supervise. When they go on to encounter barriers and struggles it can then seem as if it is a situation unique to them, and something others haven’t experienced. This can be isolated and increase feelings of frustration or failure. 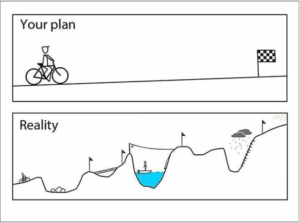 Even without any unexpected obstacles, the journey we end up taking almost certainly won’t be the one they envisaged at medical school. Why is coaching important for doctors? In a profession was so many twists and turns; hoops and jumps; it’s important to develop a strong awareness of our values and the direction we wish to take in our career. This, and developing the skills we need to navigate through difficult waters whilst keeping our goals in sight will help us to develop a career that is fulfilling, sustainable and bespoke to us. Coaching can be key at times of transition or uncertainty. In medicine it is difficult to identify a time when we’re not transitioning whether it’s changing roles or rotations; or developing a new service provision. Perhaps, changes within our own life such as illness, parenthood or moving house. Medicine is a late-comer to the benefits of coaching. The world of education and business already recognise it’s value, and of course this is where much of the supporting research comes from. One of the pivotal gains from coaching is in creating that time and space we need to develop an understanding of who you are, what’s important to you and where you want to go. There are many benefits to coaching, but there is a clear link between confidence and performance; and coaching promotes confidence. Creating the time and space to concentrate on yourself. Sounding board to bounce ideas off. Help to see the bigger picture. This helps in developing clear and logical goals and plans; understand your learning needs better and develop in the areas you need to, in order to achieve your goals. This can help contextualise where you are and help in seeing the bigger picture. The aim of the development needs to be personal. Whether your goal is to develop a new service provision, a new job, achieve a better work-life balance, or leave medicine for something else. Career prospects will, and do improve as a result of coaching but it is the personal development that should be at the core. Coaching can provide support, and at times guidance; be your cheerleader, but when appropriate also challenge you on your perceptions and assumptions about the world around you, and also your own potential. It can provide a sounding board to bounce ideas off. There is a thought that we’ve never really begun to explore an idea until we’ve said it out loud. Deciding whether to take a promotion or change roles. Managing professional qualifications and exams. Accommodating work, family and other interests and responsibilities within your life. Ready to be the change you want? From understanding to empowered fulfilment. 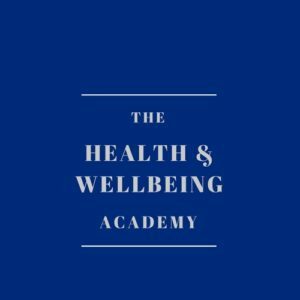 Increasing health & wellbeing through increased practical knowledge and self-efficacy.Our ambition is to use our knowledge, expertise and experience to support our learners in developing improved self-awareness, resilience and fulfilment in life. We are excited by the journey we want you to take with us. We will create content aimed at as wide a community of learners as possible. We rely on serving you with integrity, compassion and authenticity. We will respond to your feedback with a view to constantly improving our offer. We will provide excellent content at affordable prices to make health and wellbeing a right, not a privilege.We are committed to supporting you towards a more fulfilled and rewarding life.